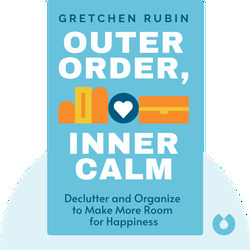 Outer Order, Inner Calm (2019) explains how you can declutter your home and keep it neat and beautiful. 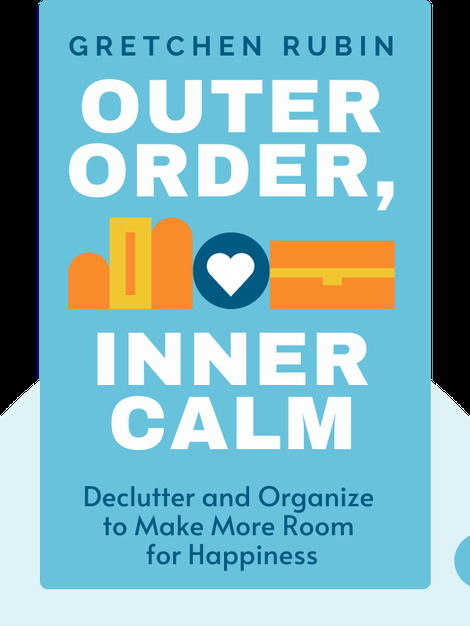 Exploring the reasons why orderly surroundings are so important for our wellbeing, these blinks offer practical tips and advice on how to overcome messiness for good. Gretchen Rubin is an American author and blogger. Rubin’s writing focuses on habits and happiness, and her books Better Than Before, Happier at Home, and The Happiness Project were New York Times best-sellers. Rubin has sold over two million books worldwide, and her work has been translated into more than 30 languages.